Many of QE’s senior players visited Canada on the School’s first-ever rugby tour to the Americas. During the ten-day visit, the touring party took on several leading youth rugby sides, while also finding the time for some sightseeing. 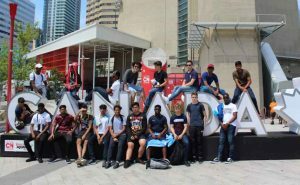 Led by four members of staff, the 19 tourists spent seven days in Toronto and three days in Niagara. 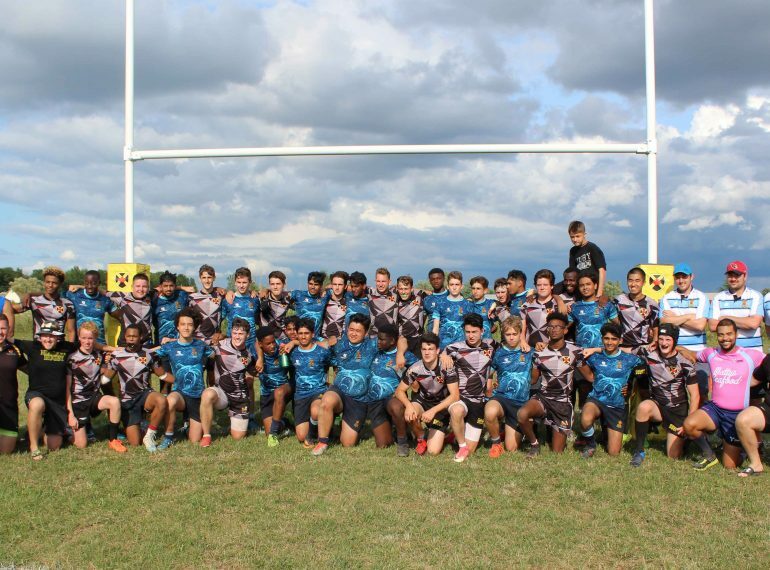 They took on Ontario Provincial A, currently the second-best regional team in Canada, and were defeated 47-7. 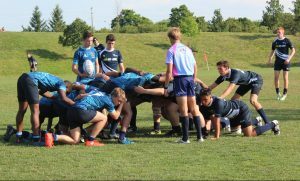 Against the Ontario Provincial B side, the QE boys came much closer, losing 17-15, while they scored a convincing 46-7 victory over Niagara Rugby Club. Among the attractions they visited were Canada’s Wonderland in Vaughan, Ontario – the country’s first major theme park, which, at 134 acres, remains its biggest – and Toronto’s 553.3m CN Tower. They enjoyed watching the local professional baseball team, at the Rogers Centre, the club’s home ground. And they made the most of their visit to Niagara, not only visiting Niagara Falls but also jetboating on Niagara River. 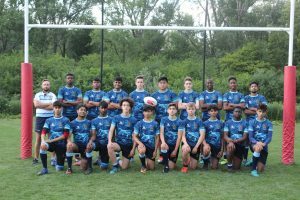 Mr Clarke said: “The boys were able to experience a different culture, as well as enjoying the hospitality of the hosting sides and the international camaraderie after each game with opposition players. The ‘stand-out’ players were Fozy Ahmed, Samuel Burgess and James Loebell, all of Year 12, and Samuel Wong of Year 13, Mr Clarke added.